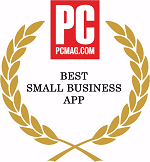 I’ve been using Handy Backup for years, and I like this software because it allows me to backup to native file format, and if I want to secure certain files and folder backups, I can compress and encrypt them easily. In my experience the program was also very stable compared to the others. Handy Backup™ is a line of Windows backup software which is compatible with Windows 10/8/7/Vista and 2016/2012/2008 Server. Extendable with plug-ins for backing up popular apps and offering multiple storage options (backup to external hard drives, USB, FTP, Amazon S3, Google Drive, Dropbox, Handy Backup Cloud etc. ), the utilities of the family are commonly recognized as the most powerful yet cost-efficient solutions for home and business. 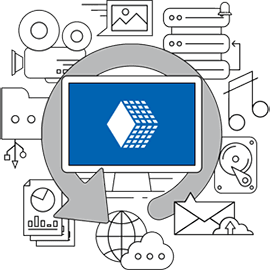 All backups can be encrypted with 128-bit BlowFish algorithm to reduce possible risks during the transfer and storage. 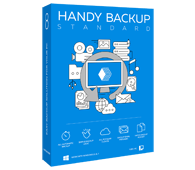 If you are searching for a fast and easy backup tool that you can set once and rely on its service for a long time, then Handy Backup is right for you! Copyright © 2004-2018 Novosoft LLC. All rights reserved. Handy Backup software.